HOPSON, PEREGRINE THOMAS, military officer, governor of Louisbourg, Cape Breton Island, and Nova Scotia; b. probably in England, possibly a son of Admiral Sir Thomas Hopsonn; d. 27 Feb. 1759 at Basse-Terre, Guadeloupe. Peregrine Thomas Hopson was a career officer; little is known about his private life. His first recorded appointment was as a lieutenant in Lord Shannon’s marines in 1703, and by 1738 he was a major in Clayton’s regiment (14th Foot). 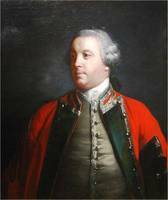 He was promoted lieutenant-colonel in Chomondely’s regiment (48th Foot) in January 1740/41. He went to Gibraltar during the siege of 1727 and, except for a brief stay in England from 1741 to 1743, was with regiments stationed there until 1745. Seeking promotion in 1746 he claimed, in a letter to the Duke of Newcastle, more than 35 years of actual duty in the army. In the spring of 1746 Hopson arrived at Louisbourg from Gibraltar, as senior officer in Fuller’s regiment (29th Foot), which had been sent to reinforce the garrison. Louisbourg had been captured from the French the previous year by a joint New England and British force under William Pepperrell and Peter Warren. Likely through Newcastle’s patronage, Hopson took command of the colony in September 1747 as lieutenant governor, succeeding Governor Charles Knowles*, and later became governor. By 1747 the English position at Louisbourg was a caretaking operation, punctuated by minor French and Indian raids on the outlying areas and worries about the threat they posed to the fuel supply of the colony. In June 1748, for example, a party led by Joseph Marin* de La Malgue captured boats and a detachment of men loading coal at the Table Head colliery (near Glace Bay, N.S. ), and threatened to destroy the incomplete blockhouse there. Hopson was promoted colonel of his regiment on 6 June 1748. In October the treaty of Aix-la-Chapelle returned Louisbourg and Cape Breton Island to France. Late in June 1749 Hopson and the French commissary, Charles Des Herbiers de La Ralière, began negotiations for the restoration of Louisbourg to the French, and concluded the transfer by the end of July. Hopson took the British troops and supplies to the new English settlement at Halifax (Chebucto) and then returned to England. In 1752 he was welcomed back to Halifax as governor of Nova Scotia, taking office on 3 August. He admitted to the Board of Trade that he had no effective jurisdiction over much of the area he nominally commanded from Halifax, and saw the Acadians and Indians, encouraged from Quebec and Louisbourg, as tools of an active French policy of encroachment on the English. He believed the Acadians were essential to his colony as the only established farmers and so he secured the consent of his superiors to avoid for the moment the issue of the oath of allegiance, and argued successfully against settling “foreign Protestants” among them. 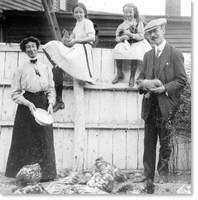 He also ordered that Acadians supplying military posts with wood and provisions be paid a fair price. If military control were maintained, he hoped, the Acadians might eventually accept British rule and even take the oath. His one opportunity to follow a similar policy with the Indians was provided by a short-lived treaty concluded in November 1752 with Jean-Baptiste Cope, leader of a small band of Micmacs on the east coast of Nova Scotia. Rivalry between English and North American factions in the colony was growing at this time. 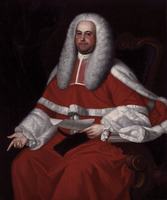 For example, there were disputes over whether English or New England law practices would be observed in the courts [see James Monk]. Hopson tried to reconcile the opposing sides, for he believed the passage of time and the regularizing of the affairs of the colony would ultimately dispel the “spirit of party.” In the meantime he sought to keep the peace “by the most moderate measures, and carrying myself as equally as possible on both sides.” His most effective positive action in office, however, was the settlement of many of the German- and French-speaking Protestants who had been congregating in Halifax in increasing misery since 1750. Although his instructions contained no special orders concerning their relocation, Hopson made vigorous efforts to obtain necessary supplies from the British government so that they could be moved to a new settlement during the summer of 1753. The site chosen for the new colony was Mirligueche, which was renamed Lunenburg, probably after one of the titles of George I as Elector of Hanover. Hopson chose Lieutenant-Colonel Charles Lawrence and Captain Patrick Sutherland to direct the founding of the settlement in June 1753. This colonizing venture occurred during a lull in acts of hostility by the French and Indians, perhaps caused by the absence of Abbé Jean-Louis Le Loutre* from the province. Hopson himself believed that the French were simply gathering their forces for a more decisive offensive. Severe eye trouble forced Hopson to hand over the government of Nova Scotia to Lawrence and he left for England on 1 Nov. 1753. He finally resigned the governorship in 1755. He was promoted major-general in February 1757, and in July he arrived back in Halifax, with reinforcements for the army commanded by the Earl of Loudoun [John Campbell]; Loudoun had reached Halifax from New York at the end of June and was to lead an expedition against Louisbourg that summer. As a former governor of Louisbourg, Hopson served partly as an adviser, and he fully concurred in Loudoun’s decision to abandon the expedition because of the late arrival of the British troops and the strength of the French fleet at Louisbourg. Loudoun returned to New York in August, leaving Hopson in command of the troops in Nova Scotia and having designated him to lead a new expedition against Louisbourg in 1758. 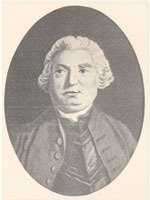 Hopson was recalled to England, however, before the 1758 campaign, on grounds that the government feared for his health. On 10 Nov. 1758 he sailed as commander of the land forces in an expedition against the French sugar islands, Martinique and Guadeloupe. After an initial landing in Martinique, its first objective, the expedition withdrew and took up a position at Basse-Terre, Guadeloupe. Hopson was already seriously ill and died a month later. John Barrington, his second in command, completed the conquest of the island. Hopson’s age and health, as well as the different qualities required in the two situations, seem to explain the differences in his performance as governor of Nova Scotia and as leader of this expedition. The main beneficiaries of his will, drawn up a month before he left for Martinique, were Lydia Goodall, a niece then living with him at Berry, near Gosport, Hampshire, and two sisters, Grace Hopson and Anne Bennett. BM, Add. mss, 23830, ff.168–69v; 32709, ff.194–94v; 32713, ff.507–8v; 32716, f.299; 32733, ff.93–93v. PRO, CO 5/44; 5/45; 5/48; 110/1; 217/13; 217/15, ff.15–16; 217/17, ff.46–50; 217/33; 217/40; Ind. 5432, 5433, 5435, 5436, 5437, 5438–39; Prob. 11/847, f.204 (will of Peregrine Hopson, October 1758); WO 34/44, 34/71, 34/101. Army list, 1754; 1755; 1756; 1757; 1758; 1759. Robert Beatson, Naval and military memoirs of Great Britain, from 1727 to 1783 (6v., London, 1804), II, III. Coll. de manuscrits relatifs à la N.-F., III, 426, 430, 447. Knox, Historical journal (Doughty). Military affairs in North America, 1748–1765: selected documents from the Cumberland papers in Windsor Castle, ed. S. M. Pargellis (New York, London, 1936). N.S. Archives, I. PAC Report, 1905, II, pt.iii, 282–83. 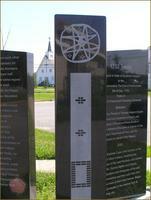 Bell, Foreign Protestants. Brebner, New England’s outpost. English army lists (Dalton), V, 135; VI, 129. Dalton, George the first’s army, II, 298. McLennan, Louisbourg. Marshall Smelser, The campaign for the sugar islands, 1759: a study of amphibious warfare (Chapel Hill, N.C., 1955). W. P. Ward, “The Acadian response to the growth of British power in Nova Scotia, 1749–1755,” Dal. Rev., LI (1971), 173. Wendy Cameron, “HOPSON, PEREGRINE THOMAS,” in Dictionary of Canadian Biography, vol. 3, University of Toronto/Université Laval, 2003–, accessed April 25, 2019, http://www.biographi.ca/en/bio/hopson_peregrine_thomas_3E.html.